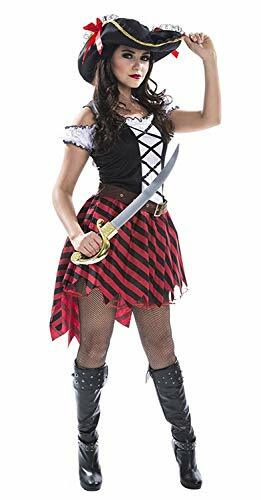 Classic style pirate costume for men. 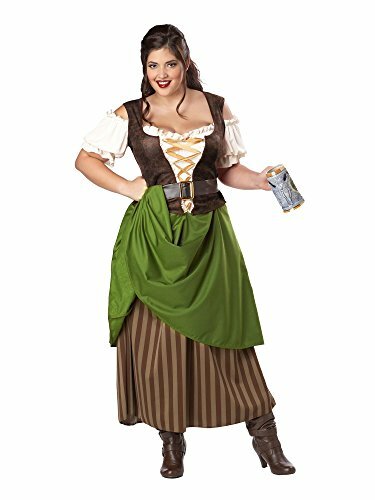 Striped headscarf, waist sash, and shirt with attached vest and printed skull design. 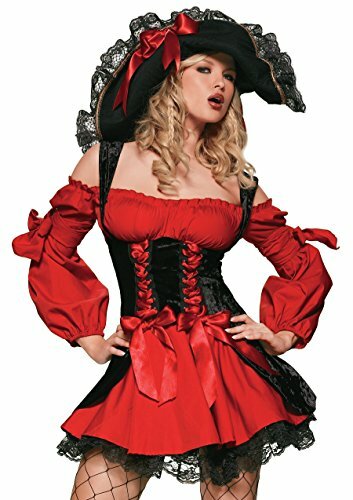 Pair with elegant pirate costume for women for a great couple look. Best fit Men's jacket size 44-46. 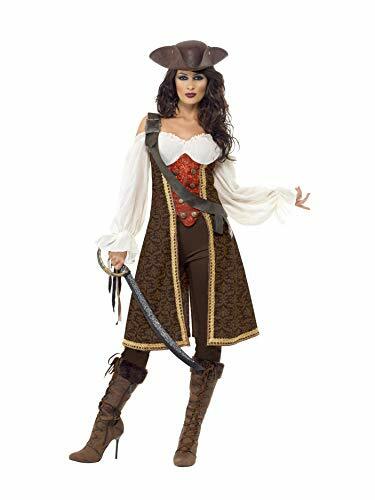 Witches to wenches to vampires to vagrants, from Graceland to galaxies far, far away, Rubies is sure to offer the seasonal items to inspire and entertain any time of year. 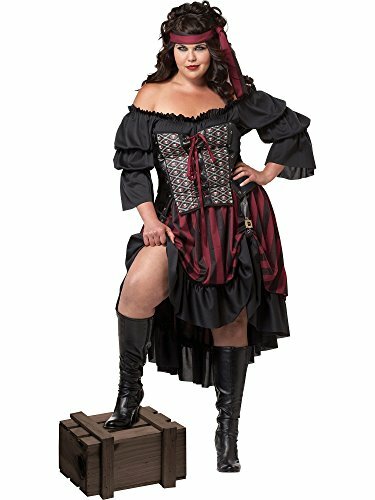 Pirate Wench Costume and Vixen Tips, Aye!